In the last 200 years, rapid advances in construction materials technology have enabled civil engineers to achieve impressive gains in the safety, economy, and functionality of structures built to serve the common needs of society. Through such gains, the health and standard of living of individuals are improved. material development in response to the call for more durable infrastructures has led to many exciting advancements, especially the paradigm design example of Fiber Reinforced Plastics Composites which enjoys tremendous success in the aerospace and automotive industries. It has inspired many composite designs involving concrete and wood. These fibers reinforced composites, with unique properties, are now being explored in many infrastructural applications. Even concrete and steel are being steadily improved to have better properties and durability. Such advancement also makes it possible to use advanced concrete or steel in an unprecedented way. will reach into trillions of dollars over the next twenty years. One of the primary causes for the decay of our infrastructures is the deterioration of the materials used in the construction and repair of these structures. Intrinsically, concrete is brittle hence vulnerable to cracking, whereas structural steel is heavy and prone to corrosion. These alarming infrastructural problems indicate an urgent need for more durable construction materials ultimately to replace conventional concrete and steel, and most likely to supplement these popular materials in the near future. The purpose of this report is to provide a recent review of several emerging construction materials that may have a significant impact on repairs of existing infrastructures or new constructions. One of this material is FRP or CFRP that will explain. Carbon fibers are a new breed of high-strength materials consisting of extremely thin fibers about 0.005–0.010 mm in diameter. Carbon fibers have been described as the fibers containing at least 90% carbon obtained by the controlled pyrolysis of appropriate fibers. The carbon atoms are bonded together in microscopic crystals that are more or less aligned parallel to the long axis of the fiber. The crystal alignment makes the fiber very strong for its size. Several thousand carbon fibers are twisted together to form a yarn, which may be used by itself or woven into a fabric. Carbon fiber has many different weave patterns and can be combined with a plastic resin and wound or molded to form composite materials, such as carbon fibers reinforced plastic, to provide high strength-to-weight ratio materials. The density of the carbon fibers is also considerably lower than that of steel making it ideal for applications requiring low weight. The properties of carbon fibers such as high tensile strength, low weight, and low thermal expansion make it very popular in aerospace, civil engineering, military, and motorsports along with other competition sports. However, it is relatively expensive when compared to similar materials such as fiberglass or plastic. Carbon fibers are very strong when stretched or bent but weak when compressed or exposed to high shock (e.g., a carbon fiber bar is extremely difficult to bend but will crack easily if hit with a hammer). In much the same way that a structural engineer has a working knowledge of the composition of structural materials such as steel, concrete, and wood and how they are made into products for use in structures, a similar working knowledge of FRP composite materials is needed by the structural engineer. This includes having a qualitative knowledge of the constituent or raw materials and the processing methods used to produce the parts and how these affect the eventual mechanical and physical properties of the FRP part. The intent of this chapter is to provide the structural engineer with sufficient materials background to have a working knowledge of the FRP material that will be specified in the construction documents of a project. Since, by and large, the same raw materials are used in a number of different manufacturing processes to manufacture FRP composite materials used in structural engineering, a general description of the characteristics and properties of these raw materials is first given in this chapter. Glass and carbon fibers are the principal synthetic fiber materials used to manufacture FRP products for use in structural engineering, and these fibers are discussed in detail. The polymer resins used most widely in FRP products for structural engineering applications are thermosetting epoxies, polyesters, and vinylesters, and these resins are discussed in detail. Less commonly used fiber and resin systems are discussed briefly, as they are not used widely in FRP products for structural engineering at this time. This is followed by a discussion of the manufacturing methods used to produce FRP products or parts from the raw materials. The principal methods used to manufacture FRP composite products used in structural engineering are pultrusion and hand layup. These two processes are by far the most widely used processes for manufacturing FRP composites for structural engineering. Pultrusion is used to manufacture FRP profiles, FRP strengthening strips, and FRP reinforcing bars. Hand layup is used to fabricate formed-in-place FRP strengthening sheets, fabrics, and wraps. In addition, at present, detailed code based design provisions have been developed only for FRP products for structural engineering made by pultrusion and hand layup. Less commonly used methods for FRP products for structural engineering, such as filament winding and closed molding, are discussed briefly. The use of fibers to increase the strength of various buildings and structures is an ancient technology – utilized when people first started using straw in clay bricks for residential walls and roofs (Nanni 1999). These early uses saw the advantage of using two materials with different material properties. After World War II, the use of fiber reinforced polymers was mainly confined to the military for boat hulls, submarine parts and aircraft components. Once it became economically feasible, industry took advantage of the excellent properties of FRP materials, manufacturing everything from fishing poles and bicycle frames to architectural components and bath tubs. In the 1960’s, FRP began to be used in structural applications mainly as a result of its noncorrosive properties. Bridge deck slabs, sea walls, and floor slabs in aggressive chemical environments were reinforced with Glass Fiber Reinforced Polymers (GFRPs) as an alternative to epoxy coated reinforcing (ACI 440 1996). Strengthening buildings and bridges using FRP was first used as an alternative to the bonding of steel plates to the soffits of reinforced concrete beams (Oehlers 1990). FRP strengthening gained popularity in Europe and Japan in the 1980’s as a result of the high strength to weight ratio and easy installation of FRP materials. Throughout the 1990s, the use of FRP in North America, Europe and Asia has continued to become more prevalent with many repair and strengthening projects completed. The number of companies manufacturing FRP products has also increased, with numerous companies producing FRP sheets, reinforcing bars and pultruded laminates. The primary reason that reinforced concrete beams are no longer commonly strengthened in flexure with externally bonded steel plates is simply because of the difficulty in installation. It is still widely believed that corrosion is a serious problem, but a study of RC beams strengthened with externally bonded steel plates by Swamy et al. (1995) proved otherwise through the experimental testing of the beams after 12 years of environmental exposure. Products and systems enable value engineering that result in innovative and efficient installations. FRP tie connectors and FRP grid shear connectors for concrete sandwich wall construction. FRP composite products and engineered systems generally offer the civil engineer improved performance for longer periods of time than conventional construction materials. Acrylic precursors: They have been successfully used for carbon fiber preparation by most industrial manufacturers for quite some time now. These acrylic precursors contain >85 % acrylonitrile (AN) monomer. In particular, polyacrylonitrile (PAN) is the most popular acrylic precursor, which is used widely to produce the carbon fibers. Cellulosic precursors: They contain 44.4 % carbon. However, in practice, the reaction is more complicated than mere dehydration, and the carbon yield is only approximately 25–30 %. Pitch-based precursors: They have a yield of 85 %, and the resultant carbon fibers from these precursors show a high modulus owing to the more graphitic nature. On the other hand, the pitch-based carbon fibers have poorer compression and transverse properties compared to the PAN-based carbon fibers. Other forms of precursors: Vinylidene chloride and phenolic resins as precursors for the manufacture of carbon fibers have been investigated, but were not found to be commercially viable. To produce an FRP composite material, two primary raw material constituents are required, reinforcing fibers and a polymer resin matrix. In this section we review key properties and characteristics of the raw materials used to produce FRP products for structural engineering. We do not provide information on how the raw materials are produced; the reader is referred to the composite materials literature for coverage of this subject (e.g., Schwartz, 1997a,b). However, it is worth noting that all the raw materials are produced at high temperatures in industrialized processes that require highly specialized equipment and control. Analogous to the state of affairs that exists today, where a structural engineer does not typically have extensive knowledge of how Portland cement is produced from limestone, a structural engineer is not expected to have extensive knowledge of how polymer resin is produced from crude oil or how glass fiber is produced from silica sand. Except in very rare circumstances, the raw fiber and polymer constituents cannot be used in their as-produced forms to manufacture an FRP composite material. After the fiber filaments are produced, they are post processed in a number of secondary operations to produce fiber products such as strands, sheets, fabrics, and mats that can be used in a manufacturing process. Similarly, the raw polymer, which is generally referred to as the base polymer or neat resin, is often blended with other resins and mixed with a variety of additives and process aids to produce a resin system (or resin mix) for manufacturing. The fiber and resin systems are discussed later in the manufacturing sections of this chapter, as they are manufacturing method–dependent. Numerous companies manufacture and distribute both raw and post processed raw materials for use in production of FRP composites. The annual Sourcebook (Sourcebook, 2006) provides an extensive list of U.S.-based manufacturers and suppliers. The fiber phase of an FRP composite material consists of thousands of individual micrometer-diameter individual filaments. In the large majority of fiber forms used in FRP products for structural engineering, these fibers are indefinitely long and are called continuous. This is to differentiate them from short fibers of length 10 to 50 mm (_0.5 to 2 in.) that are used in the spray-up process for boat building and consumer products or in reinforced cementitious materials [known as glass-reinforced cements (GRCs) or fiber reinforced cementitous (FRC) composites]. Continuous fibers are used at a relatively high volume percentage (from 20 to 60%) to reinforce the polymer resin: thus the term fiber-reinforced polymer (FRP). The mechanical properties of the fibers are typically orders of magnitude greater than those of the polymer resins that they reinforce; however, due to their filamentary nature they cannot be used as stand-alone construction materials and must be used in a synergistic fashion with polymer resins to realize their superior mechanical properties. Glass fibers are used in a multitude of FRP products for structural engineering, from FRP reinforcing bars for concrete, to FRP strengthening fabrics, to FRP structural profile shapes. Glass is an amorphous inorganic compound of primarily metallic oxides that is produced in fibrous form in a number of standard formulations or types. Silica dioxide (SiO2) is the largest single compound in all glass formulations, constituting from 50 to 70% by weight of the glass. Different grades of glass fiber are identified by letter nomenclature. A borosilicate glass known as E-glass (electrical glass) because of its high electrical resistivity is used to produce the vast majority of glass fiber used in FRP products for structural engineering. A-glass (window glass) and C-glass (corrosion resistant, also known as AR-glass or alkali resistant glass) are used to produce specialized products for use in structural engineering. S-glass (structural or high-strength glass) is used to produce the high-performance fibers used primarily in the aerospace industry. The diameter of an individual glass fiber or filament ranges from approximately 3 to 24 µm (0.00118 to 0.00945 in. ).1 The 17-µm (0.0067-in. )- diameter fiber is most commonly used for FRP products for structural engineering. A glass fiber has a distinctive bright white color to the naked eye. Glass is usually considered to be an isotropic material. Glass fibers are produced at melt temperatures of about 1400_C (_2550_F). Individual filaments are produced with a surface coating called a sizing that serves to protect the filaments when they are formed into a bundle or a strand. The sizing also contains coupling agents, usually silanes, that are specially formulated to enhance bonding between the glass fiber and the particular polymer resin being used when making a glass-reinforced FRP composite material. Today, most commercially available glass fibers can be obtained with sizing that are compatible with the three major thermosetting resin systems used in structural engineering: epoxy, polyester, and vinyl ester. The commonly used term fiberglass is generally used to refer to the glass fiber reinforced polymer composite material itself and not solely to the glass fiber constituent material. When referring to the fibrous reinforcement alone, the term glass fiber is preferred. limit of glass fibers is generally lower than 60% of the ultimate strength. Glass fibers are excellent thermal and electrical insulators (hence, their extensive use in buildings and the electric power industry as insulation materials) and are the most inexpensive of the high-performance fibers. Carbon fibers are used in structural engineering applications today in FRP strengthening sheets and fabrics, in FRP strengthening strips, and in FRP pre stressing tendons. Carbon fiber is a solid semi crystalline organic material consisting on the atomic level of planar two-dimensional arrays of carbon atoms. The two-dimensional sheet like array is usually known as the graphitic form; hence, the fibers are also known as graphite fibers (the three-dimensional array is well known as the diamond form). Carbon fiber is produced in grades known as standard modulus, intermediate modulus, high strength, and ultrahigh modulus (SM, IM, HS, UHM).2 Carbon fibers have diameters from about 5 to 10 µm (0.00197 to 0.00394 in.). Carbon fiber has a characteristic charcoal-black color. Due to their two dimensional atomic structure, carbon fibers are considered to be transversely isotropic, having different properties in the longitudinal direction of the atomic array than in the transverse direction. The longitudinal axis of the fiber is parallel to the graphitic planes and gives the fiber its high longitudinal modulus and strength. Carbon fiber is produced at high temperatures [1200 to 2400_C (_2200 to 4300_F)] from three possible precursor materials: a natural cellulosic rayon textile fiber, a synthetic polyacrilonitrile (PAN) textile fiber, or pitch (coal tar). Pitch-based fibers, produced as a by-product of petroleum processing, are generally lower cost than PAN- and rayon-based fibers. 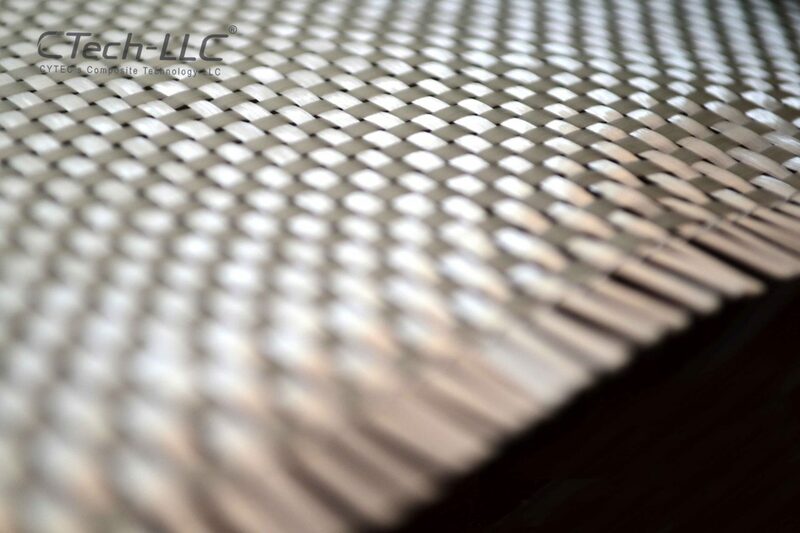 As the temperature of the heat treatment increases during production of the carbon fiber, the atomic structure develops more of the sheet like planar graphitic array, giving the fiber higher and higher longitudinal modulus. For this reason, early carbon fibers were also known as graphite fibers. The term carbon fiber is used to describe all carbon fibers used in structural engineering applications. The term graphite fiber is still used in the aerospace industry; however, this term is slowly dying out. 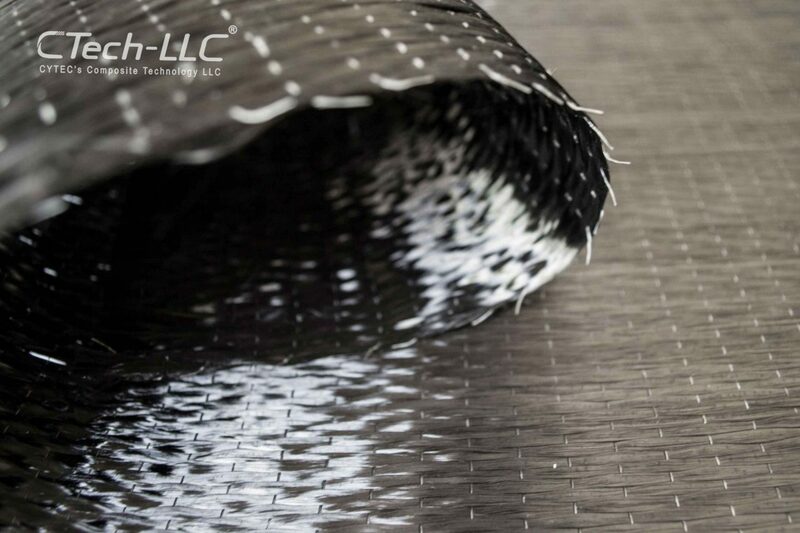 Similar to glass fibers, carbon fibers need to be sized to be compatible with a resin system. Historically, carbon fibers have been used primarily with epoxy resins, and suitable sizing for epoxy resin systems are readily available. 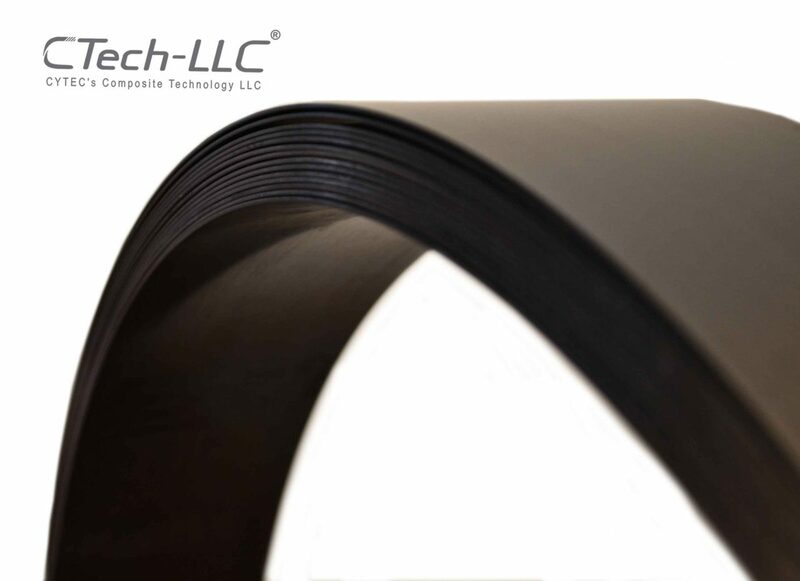 Nowadays, carbon fibers are being used with vinyl ester and blended vinyl ester–polyester resins for FRP profiles and FRP strengthening strips. Sizing for carbon fibers for polyester and vinyl ester resins are not as common. Care must be taken when specifying a carbon fiber for use with a no epoxy resin system to ensure that the fiber is properly sized for the resin system used. Carbon fibers are very durable and perform very well in hot and moist environments and when subjected to fatigue loads. They do not absorb moisture. They have a negative or very low coefficient of thermal expansion in their longitudinal direction, giving them excellent dimensional stability. They are, however, thermally and electrically conductive. Care must be taken when they are used in contact with metallic materials, as a galvanic cell can develop due to the electro potential mismatch between the carbon fiber and most metallic materials. Some research has suggested that this can lead to degradation of the polymer resin in the FRP composite, especially in the presence of chlorides and to corrosion of the metallic material (Alias and Brown, 1992; Torres-Acosta, 2002).